I have written many times before that the great Brother Rafael Donato was a visionary. When you and I look at a bukohan, we will probably be thinking juice. He, on the other hand, would be thinking fabulous buildings. What I had not written much about is how inspirational Brother Rafael also was. He had this immense charisma that enabled him to make people dream along with him. Unlike the case for most of us, his dreams had this habit of becoming reality. Because he had the gift of gab, when he spun his tales, everyone gawked totally captivated at him. With words, he pushed images inside people’s mind that they were not even probably aware they were capable of conjuring. For instance, his maxim “Live the Future Now” made people sit up and start looking at their own selves with a different purpose. It was a challenge issued for everyone to stop living in the present alone; and to step forward into that fearsome unknown that was the future. “Lipa is lucky to have me arrive when I did,” he used to say. While that may sound a tad boastful, what he really meant was that he arrived at the twilight of a long and colourful career; and he brought with him all the experiences he gained from all his previous assignments. “Iyang ‘Live the Future Now’ na ‘yan,” he would say to make us all feel good about ourselves, “inisip ko ‘yan para sa Lipa lang.” So, we all grinned happily from ear to ear because the Brother Lolo thought so highly of us enough to make him think up a special maxim just for us. There was also this other thing that he liked to tell us over and over again about how he planted the seeds of desire during the seventies inside the minds of employees of what was then known as La Salle-Bacolod so that they would dream of and aspire for university status. 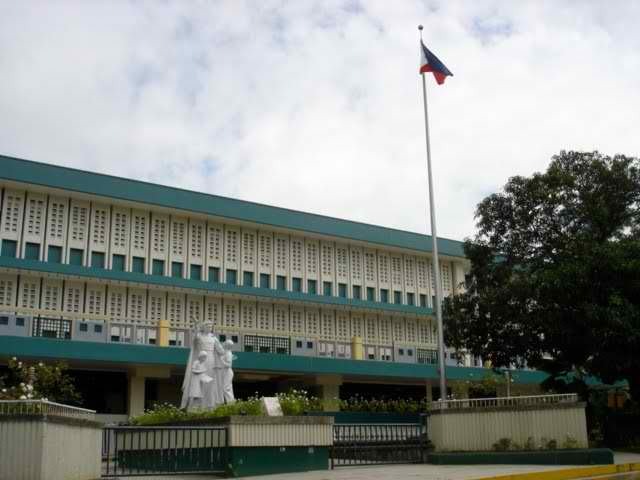 The school, as everyone knows, is now known as the University of St. La Salle; and it is currently regarded as among the most prominent higher educational institutions in the Visayas. 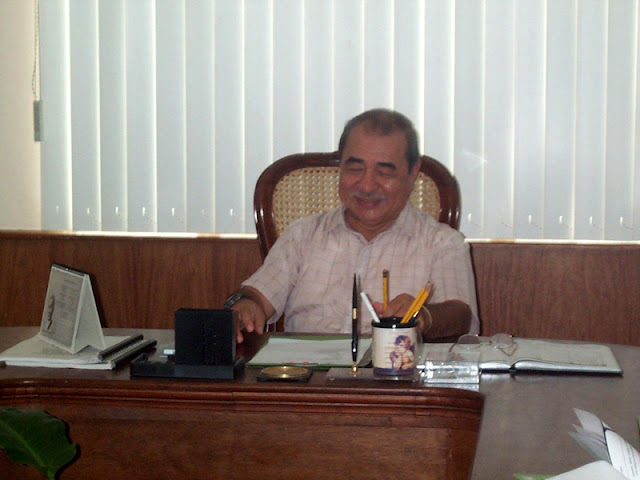 Brother Rafael was quick to point out that the school eventually became a university long after he had gone from Bacolod; and that it was a lengthy process that required hard work from everyone. I guess I do not really have to say that Brother Rafael planted that same dream of university status inside our own heads. God knows he talked about it often enough. He was thoughtful enough, as he always was, to warn us that it would not be easy. 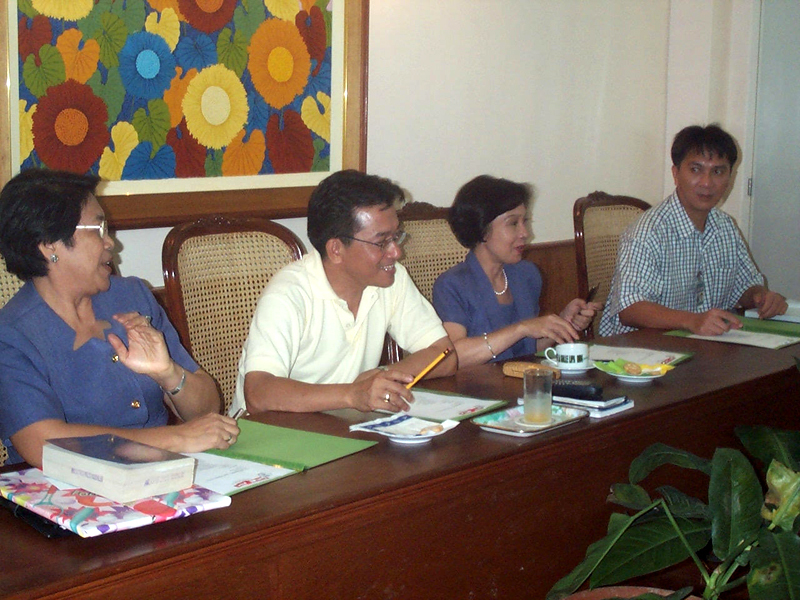 To my knowledge – and I was in the office, not in academics – the most important prerequisites for university status were Level III accreditation (which we did not have but were working on); at least three licensure programs (which we had); outstanding performances by our graduates in the licensure examinations (which we did not have but were starting to plan for); and outstanding achievements of the faculty and students. It was because of his emphasis on quality that Brother Rafael did not want to cut corners. Somebody asked him if he could have used his clout to get us declared a university; but he would have none of it. He wanted the school to earn the status. He went to the extent of forming a University Task Force; and even invited experts from other universities to sit in and offer their insights to school officials who were asked to become members of the task force. I myself was invited. “Invited” was yet another euphemism. I had to attend; albeit, I knew the task force was an academic undertaking and did not have the foggiest why I was being asked to be in the initial meeting. 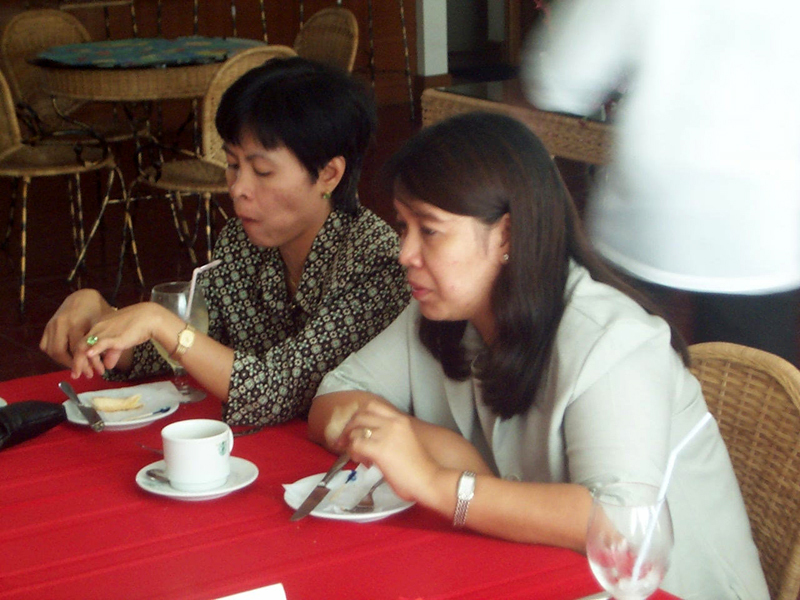 Except for the lunch that Brother Rafael was always gracious enough to feed us every time we sat down for a meeting, I actually hated attending because there was really nothing there for me. What was I supposed to do, bring green-and-white pompoms and cheer Rektikano? At any rate, Brother Rafael's dreaming was so advanced that he was even thinking already of a name for the university. “Lipa is part of the school name,” he would always insist stubbornly. He would have none of the name “De La Salle University-Lipa.” The name of the school had to be in it; so, in most probability – or so he surmised – the name would have to be De La Salle Lipa University. “How about,” I ventured tentatively one time in his office during a one-on-one meeting, “we call it University at De La Salle Lipa.” Brother Rafael sometimes did not take kindly to ideas he himself did not think of; so I held my breath, particularly as he was staring wide-eyed at me. For a change, he asked me to explain. Ever the marketing person, I explained that I just thought we should have something that would distinguish us from other universities, for which the preposition “of” was largely preferred. 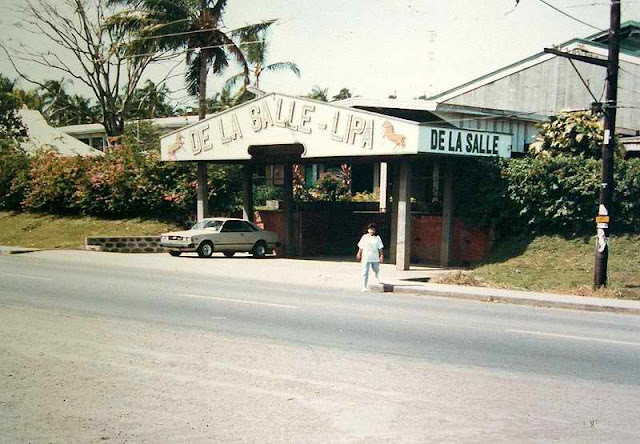 It was also a way of saying from the name alone, I explained, that there is a university at De La Salle Lipa. Suffice it to say that I was so pleased to have Brother Rafael even just consider my humble suggestion. I forgot all about that incident, of course; and I fully expected him to go ahead with his own De La Salle Lipa University. But you just never knew with Brother Rafael… One day, I overheard him telling a visitor that when the school became a university, it would be called University at De La Salle Lipa. With Brother Rafael, though, there was always a twist. Since we were all caught up in the living-the-future-now churva, the “at” daw would be the @ sign used in e-mail addresses. This was apparently suggested by one of the owners of our Internet Service Provider, with whom Brother Rafael had become friendly. With the @ sign daw, the name alone would embody the high technology and forward thinking of the university.